Thank you for your interest in the Financial Trust FCU scholarship opportunities. 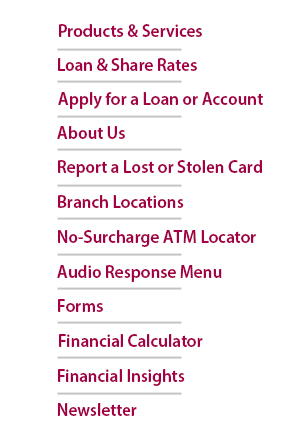 Step 1: Stop in to any branch to request a scholarship application form or download it here. If the student is not a member of the credit union, stop in and request a membership packet as well. Step 2: Complete the application form, write an essay and obtain the required test transcripts along with the signature of the student’s parent or guardian. Step 3: Return a completed copy to the credit union no later than 4/30/2019. Members of credit union, college-bound high school seniors at the time of application to either a two or four-year accredited educational institution and attending college for the first time in the fall of 2019. Click here to view and print our scholarship application.